Sip this tea warm to soothe jangled nerves. Enjoyed it chilled to cool you down on warm, warn days. It can also be an effective diuretic. Preparation time: 5 minutes. Cooking time: 20 minutes. Serves 4. The leafy greens of lemongrass. If these are not available, ues 3-4 large stalks lemongrass, bruise to release their flavor. 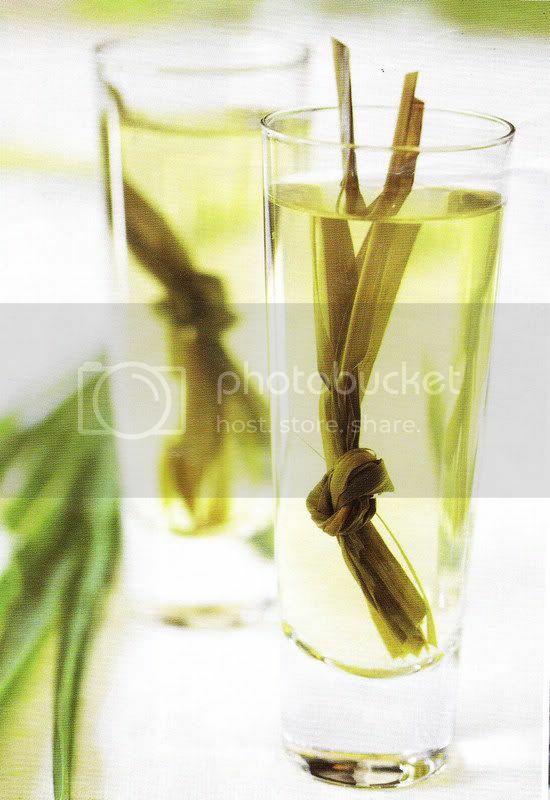 Wash lemongrass leaves (or stalks) well and place in a large saucepan. Cover with water and bring to the boil. Turn down heat and simmer 15 minutes. Remove and discard solids. Sweeten to taste with sugar. Serve either warm or well chilled.